The 2019 NHL Winter Classic jerseys haven’t officially been released yet, but the designs have been leaked. With that in mind, Tim Steele Allen takes a stab at some fixes — including adding some red the Hawks’ look. 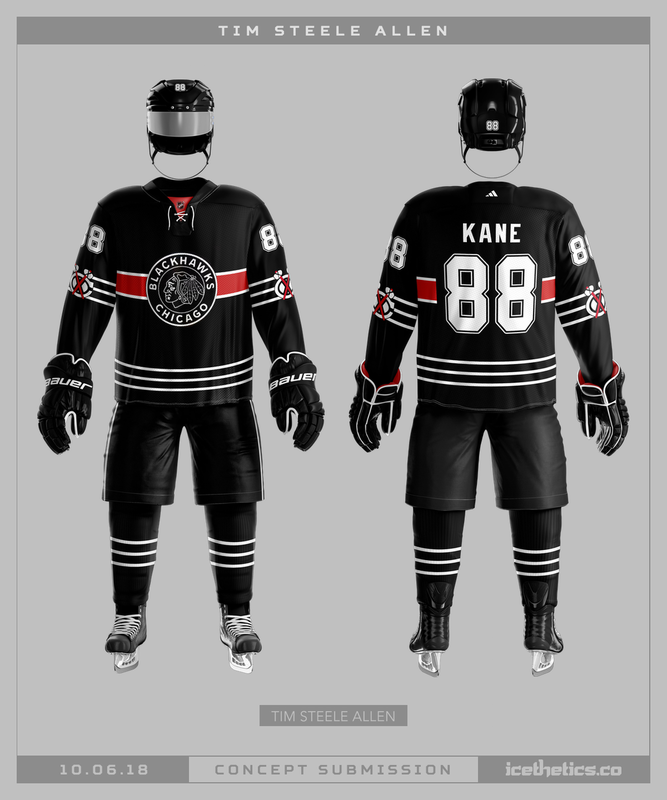 What if the Golden Knights had been named the Black Knights as their owner originally wanted? Tim Steele Allen imagines something pretty dark here. It's a redo of the Carolina Hurricanes' new third jersey today. Tim Steele Allen keeps the same crest and color palette but finds a different way to implement them. A newcomer is here to help us celebrate another Freak Out Friday. Tim Steele Allen has a rather bizarre take on the Pittsburgh Penguins logo. What do you think?